In view of high-frequency signal, mechanical properties, electrical properties and environmental factors that change in the performance of cables and connectors, developers need a complete package of professional laboratory tests and certification programs to ensure the products that can meet the quality conditions and can perfectly show the functional characteristics. In this article about validation technique, Allion experts will introduce different specifications of USB and emphasize on certification. It will also concentrate on products with different interfaces such as SAS 4.0, PCIe’s latest specification of OCuLink interface, and fiber optic cable AOC (Active Optical Cable) and will explain each interface’s characteristics. 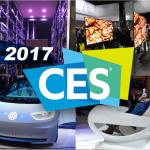 In addition, we will also introduce some equipment and testing content focusing on electrical test, mechanical test, and environmental test. 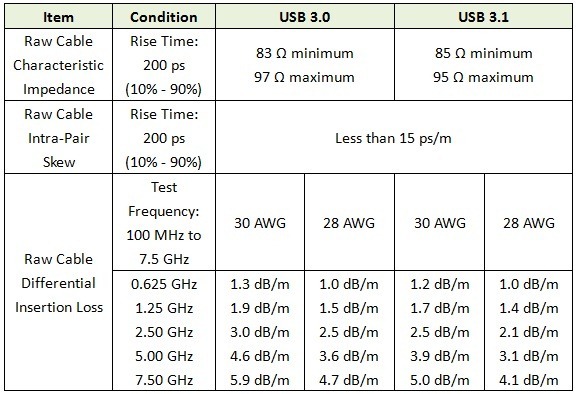 In accordance with the specification of USB Implementers Forum (USB-IF), the testing process of USB 2.0 can be divided into eight test groups. On the basis of the different characteristics of each product, the cable and connector-related products would experience a series of deliberate tests which includes electrical properties, mechanical properties, and environmental test. However, for electrical test, mechanical test, and environmental test, each of them contains a number of different sub test items. Thus, each product will accept various tests that the total process would range from ten to hundreds of hours. For system operators, USB 2.0 connectors have to accept hundreds of hours on environmental testing, which contains a temperature life test, mixed flowing gas test, thermal shock test, and humidity test. As for USB 2.0 cable assemblies, because it doesn’t need environment test, the overall test schedule will be relatively short. USB 3.0, also known as Super Speed ​​USB, can support the speeds up to 5Gbps so it applies to more test items. It does not need to take the environmental test, so relatively speaking; it doesn’t take that long on the certification test. On certification standards, not all connectors on both ends of the cable can be referred to as USB cable. USB-IF has strict rules for this. Only the USB connector follows the pattern enacted by USB-IF association can be regarded as USB connector. And only the accredited USB cable categories can get certified and Test ID (TID). But if company’s product is outside the specifications of the standard product, Allion’s customized service team will assist customers to gain the opportunities from USB-IF in order to earn its approval for product verification. According to USB-IF, if any category that has failure test items, all of the test items in this category will have to do the re-test. In this case, pressures don’t just come from shipping time and money cost, but how to find the crux of the problem is what the manufacturers are mostly concerned about. Therefore, it is very important to have a trustworthy validation test partner. 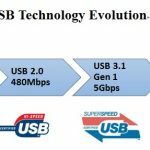 USB 3.1 is called the next generation of USB 3.0, with high transfer speeds up to 10Gbps, and is compatible backwards with 2.0 and 3.0. Because of its high speeds, both sides of the connector’s steel shell were also added four grounding springs to suppress EMI and RFI problems. From Table 1 you can see the raw cable of USB 3.1 and raw cable of USB 3.0 significantly differ from characteristic impedance test and insertion loss test. And not just in the cable section, testing specifications for the USB 3.1 related cable accessories and connectors are more stringent than ever. Given the pros and cons of Apple’s Lightning technology that can be used on both sides, USB-IF is developing Type C, the size similar to USB 2.0 Micro B, and also planning to add high-wattage power delivery function. Type C receptacle can be divided into full featured version and the USB 2.0 version. The design of full featured version has two kinds: single-sided with 12 pin and double-sided with 24 pin. Version 2.0 will remove Super Speed pairs, supporting both sides connection. For Type C plug part, there’s only full featured version. Different raw cable can tell full featured and 2.0 version apart. In addition, Type C is considered to be the future charging interface of handheld devices. It is expected that till 2016, Apple, who adopts the interface of Lightning now would change its mind to use Type C interface. Especially with the help from EU, formally announcing to unify the charging interfaces of phone, it will increase the penetration of Type C. Meanwhile, the related firms also need to pay attention that although USB-IF didn’t require compulsory authentication for adapters and norms, it is predictable that USB-IF will bound to enact the mandatory requirements of certification for adapter of Type C and USB 3.1 standard Type A , and adapter of Type C and USB 2.0 Micro B. Currently, SAS can support 12Gb/s. It is expected that it will support 24Gb/s in 2016 and the existing interface will be revised with new design. 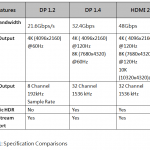 The differential pair will be increased from the original of four pairs to eight pairs because of its bandwidth increase. Beside the change of high-frequency, the characteristic of original structure and environmental characteristics will still be the same as SAS 3.0 . The association expects that the officially detailed specification will be announced before 2016. After the association completes the definition of the spec of OCuLink, it is expected that OCuLink will support 8Gb/s of PCIe Gen 3, 16Gb/s of PCIe Gen 4, will support copper and optical fiber version simultaneously, and will be applicable to internal and external use. In the future, the associate hopes that in the future, it is possible to connect to controller card and system through OCuLink in the internal workings of PCIe SSD. AOC, known as the next generation of cable/connector, is thinner and lighter than the copper wire. That’s because the characteristic of optical fiber can overcome length limitation that copper wire cannot. Increasing the cable length will not affect AOC’s performance, for example: the 200 m of HDMI optical cable’s performance is the same as the 1 m of HDMI optical cable’s. 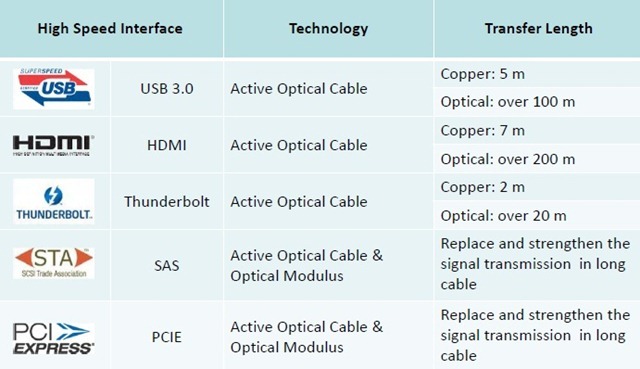 The cost of optical fiber is much more expensive than copper wire, but the high cost is not the cable itself－it is the optoelectronic components and IC on the both ends that cost more. 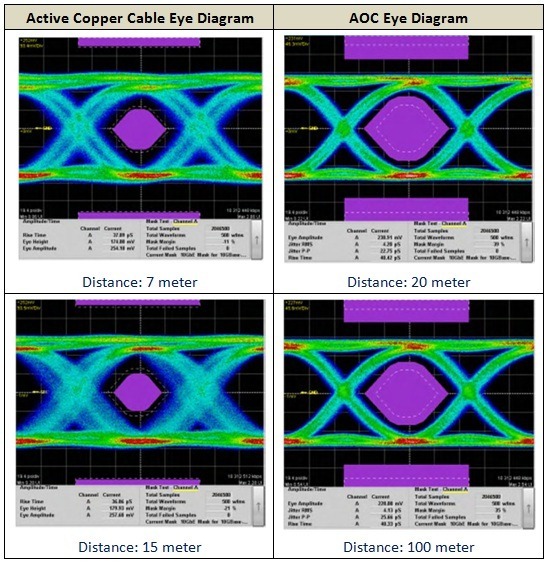 From the following table 3 of eye diagram analysis, it shows that when cable length increases, copper cable’s signal transmission will have degradation phenomenon; however, no matter the length of optical cable is 20m or 100m, its performance remains the same. 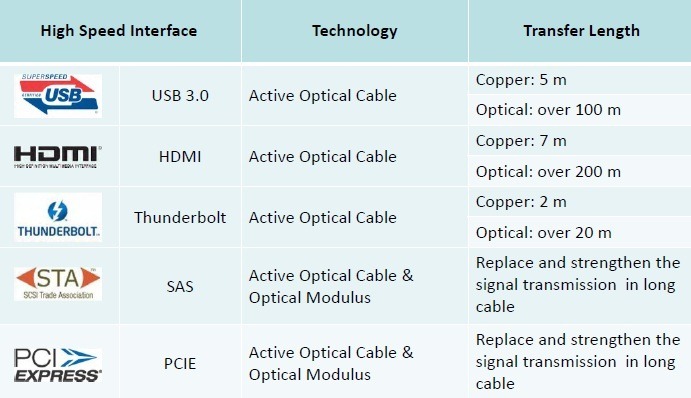 Although optical fiber supports long length and the association is also optimistic about the future trend that the external use of long length of copper cable will be replaced by optical fiber, the existing technologies doesn’t allow optical fiber to be bent and flexed in internal use under system configuration. Therefore, copper cable won’t disappear; it will co-exist with optical fiber instead. Take environmental test as an example: a product’s performance, stability and overall quality may be affected by many environmental factors, such as temperature, humidity, altitude, mechanical shock and vibration, etc. For many manufacturers, it is always a headache to know products’ real capability and limitation in all diverse scenarios. Therefore, the manufacturers need the professional laboratory instruments and equipment to reproduce different conditions that a product might encounter in the real life, and point out where the risks of problems are. As the five key test items mentioned above, "Scenario Test Service" belongs to the combination of three other hybrid test project. Reality is always complex and cruel. In order to ensure the vendor’s product quality is close to the real world, we have designed some a series of test scenarios to simulate real environmental conditions, and to precede the electrical, mechanical and environmental test. As shown in figure 2, comparing with consumer electronics, a driving car has more opportunities to get in touch or be exposed to different extreme environments. Therefore, the cables that are inside the vehicles need to receive a series of tests including: temperature, humidity, altitude, vibration, mechanical shock, and other harsh tests. It is necessary to test products’ performance under different scenarios in order to reduce the possibilities of higher cost recovery charge and customer complaints. 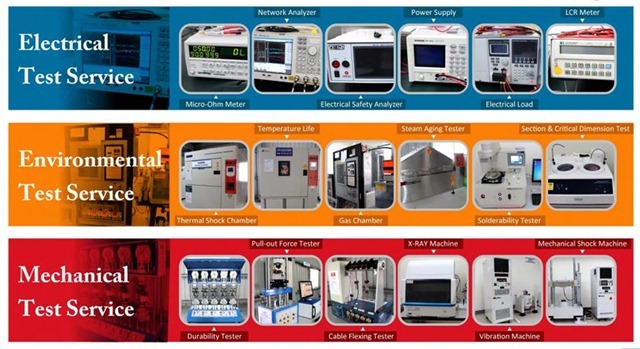 Different cables and connectors have different characteristics and they need complete high-level test equipment and environment, such as terminal strength test, cable flex test, vibration test, X-ray test, solder-ability test equipment, thermal shock test, durability test, salt spray and steam ageing test to enhance the efficiency of tests and level up the quality of the products. Allion’s Cable & Connector Testing Center is authorized by USB-IF as the official USB Cable Assemblies and Connector Labs, providing the complete compliance testing service for Cable Assemblies and Connectors adopting USB 2.0 and USB 3.0, 3.1 specifications. 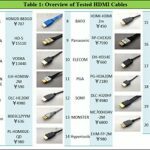 Allion is also approved by HDMI association as the Authorized Test Laboratory for HDMI Cable products. 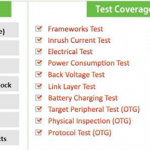 In addition to the certification test, we can target on mainstream technologies including HDMI connectors, DisplayPort, MHL, SATA and more by providing high-frequency signals, mechanical characteristic, electrical characteristic, and environmental change testing. 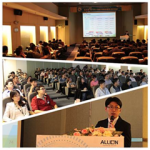 For more information, please contact service@allion.com , or online browse our professional cable and connector testing services http://www.allion.com/cabcon.html .